The silver lining to this cold weather is all the amazing wintery flavours that come with it. 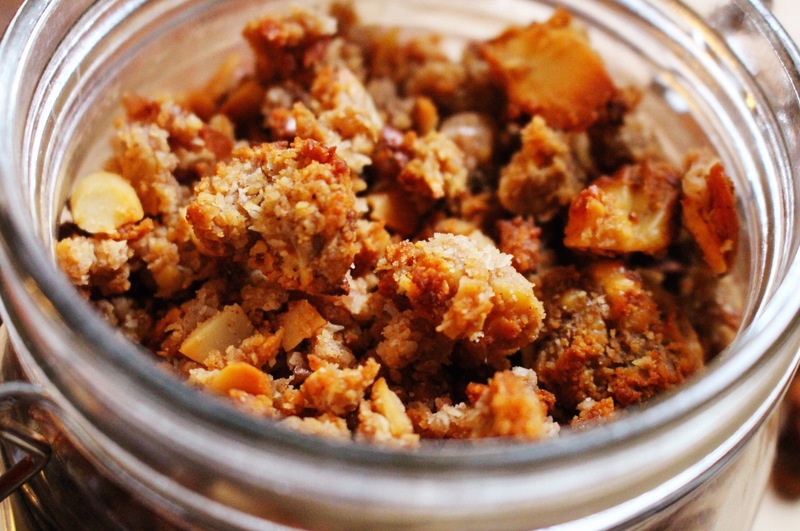 I love all of my other granola flavours ,but to me apple and cinnamon together is one of the cosiest tastes and this is the perfect granola for this season! With warm almond milk it makes a gorgeous hot breakfast- or have it sprinkled over just about anything or simply straight out of the jar! 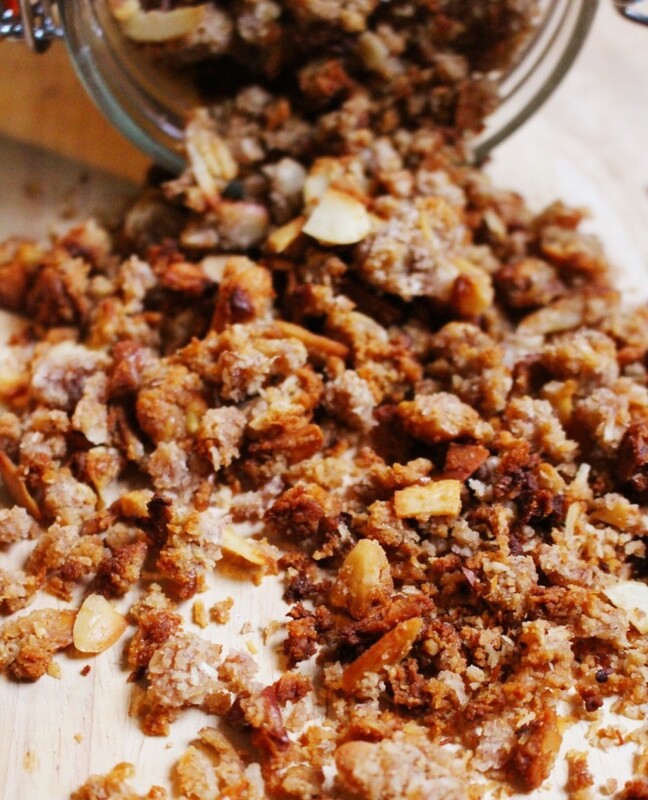 Roughly chop the walnuts and add them to a large bowl with all of the other dry ingredients. Grate the apples in to a bowl and then use your hands to squeeze some of the excess juice down the sink. Then add the apples to the dry ingredients and mix well. Then add in the melted coconut oil, followed by the maple syrup and mix well. Spread the mixture out evenly on a baking sheet and bake at 180 ‘C for about 25 minutes. It takes a little longer than my usual granola because of the moisture in the apples. Check it a couple of times throughout and toss it around with a spatula so that it cooks evenly. When it’s a toasted golden colour take it out and use the spatula again to break up any big chunks. Yummy this looks delicious, I’m with you apple and cinnamon works so well! i tried to make this but it was way too wet! i ended up dumping it and thats an expensive mix! I only added two apples and followed everything else perfectly!